Dive site Sasaigang Point on the tip of Logbon Island. 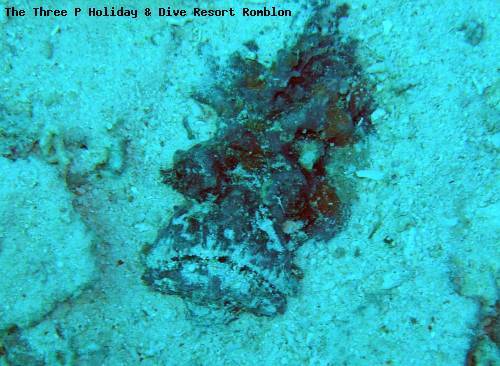 Best dive-season / How to get there: This spot can be reached in 20 to 30 minutes from Romblon Town or Lonos, Romblon. This spot can be visit 12 months a year. Dive site Sasaigang Point is dituated on the tip of Logbon Island a small rocky island just off the coast of Romblon. This dive starts in a depth of 3 meters and gently drops to a depth of 15 meters where you will find some of the most prolific corals. Ideal for photography and beginner divers to explore.